The Decorating Chica: Just have a little "Faith"
Just have a little "Faith"
It's Secret Pal week at work. This is the second year I've participated and our goal is to not spend more than $20. for the whole week. This is not so easy! Used a scraper to round out the edges. Today as I was thinking on what to do for my Secret Pal gift I remembered an extra piece of board that I saved out from a recent project. I saved it because I thought it would make a good wooden sign even though I didn't know what I would do with it! After the 'aging' process I started stenciling letters. Still not knowing what I would do exactly I decided to sand and carve the square edges, then aged it with a vinegar/steel wool mix, and antiqued it with a black glaze. As each step was taken, I determined my next step by the success of the last step. Have you ever done that? Crazy process I know. So I got the aged part looking the way I liked but what to do now? I found some homemade letter stencils and decided to use them to stencil on the letters to the word "faith". Well I didn't like the beige and I goofed up the spacing of the letters! Yikes. How do I rescue this? By playing up the bad spacing and making it look purposeful! I loved how it turned out and it didn't cost a single cent! How funny that I'm looking at this thinking how lovely it is and how nice for anyone to receive it, and you are critical of the beige and spacing! It's hard to see something objectively when you've been looking at it so closely, but I promise you the spacing is fine and the colours look great! Lookin so sweet. My daughter would love this! 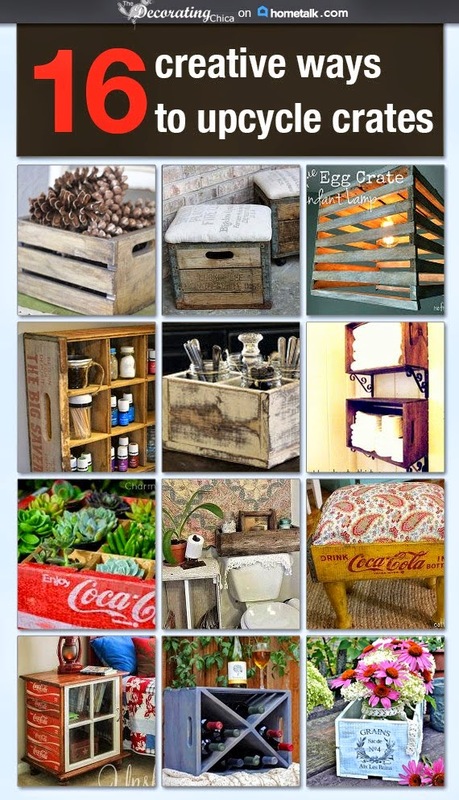 Very creative, cute and thrifty! Thanks for sharing at TTF! That is so pretty. I was thinking of doing something similar for my coop's welcome sign. I love the vibrant colors on the aged wood. It's a beautiful contrast.